ie _NOT_ the Due which is much less beefy). Those are the cutest little steppers but what will you use them for? slot in the front panel... Or a faked needle-style meter (need some gearing though). Have you discovered what is the max current they can take? How does their torque compare with a similarly sized DC motor? single hair round the 0.92mm shaft? Gear it down and measure the output torque? It would be a crude measure with lots of error, but better than nothing. (Borrow some gears from a small servo). 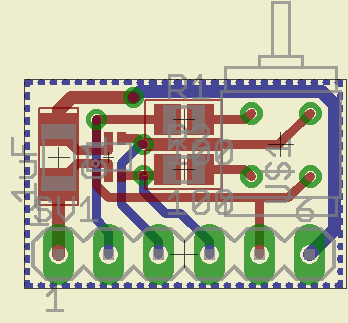 I have been for a long time searching for a way to control via arduino these micro steppers and nothing worked so far. No I saw MarkT post and breakout board and it would be super to have finally found something working! Unfortunately I have some troubles understanding the circuit and wiring from his pictures, due to my electronics knowledge being wosre than I tought. 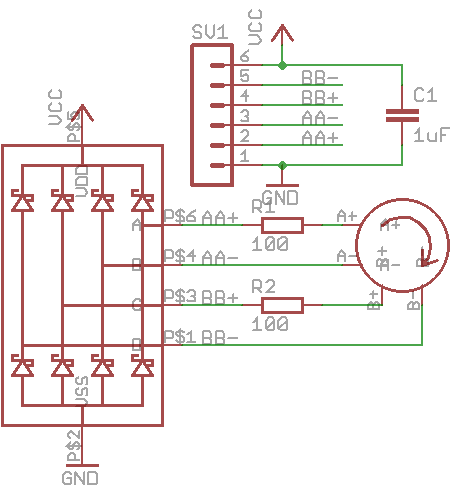 A very raw sketch of arduino code on jow to control it and pinout would be a dream. Thank you so much for the fast reply about the code. If you would be so nice to also explain me a bit about the circuit, It would be very kind of you . I have been trying to control those motors for my mini robot project for a while. An old thread but while trawling eBay I came across these and thought of this thread. I do not understand the nomenclature. Does it make sense to anyone? function), so that made the component count nice and low. All tiny surface mount stuff.